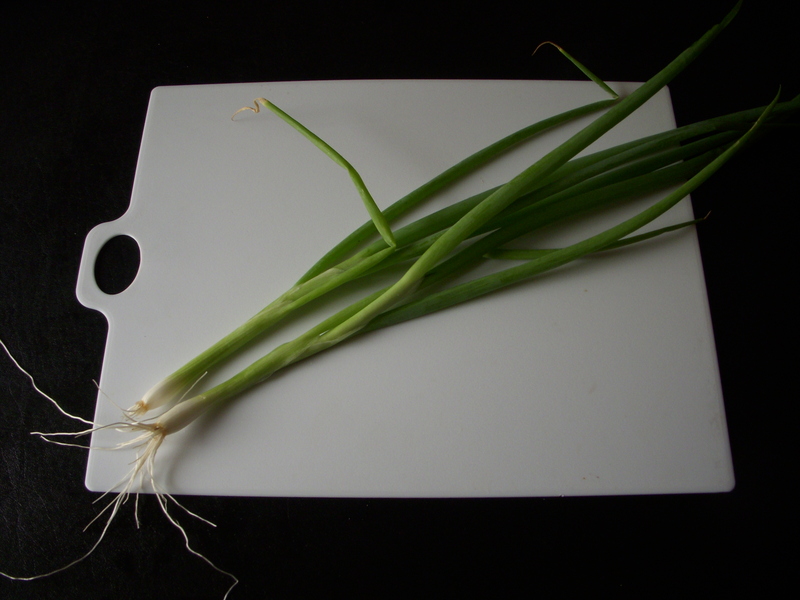 I found a few green onions ready to harvest from the garden today (yea, yea!! 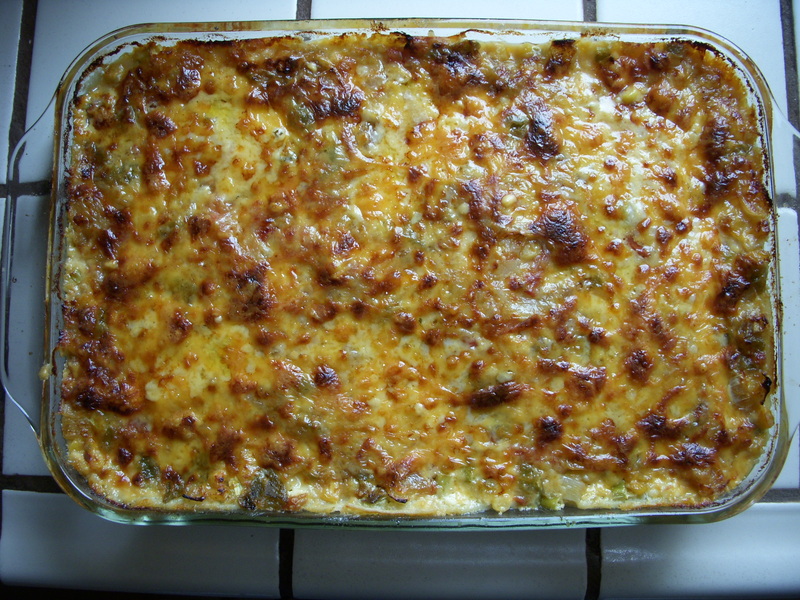 ), and since we hadn’t had it in a while, decided to make a vegetarian verde version of the standard beef southwestern lasagna. 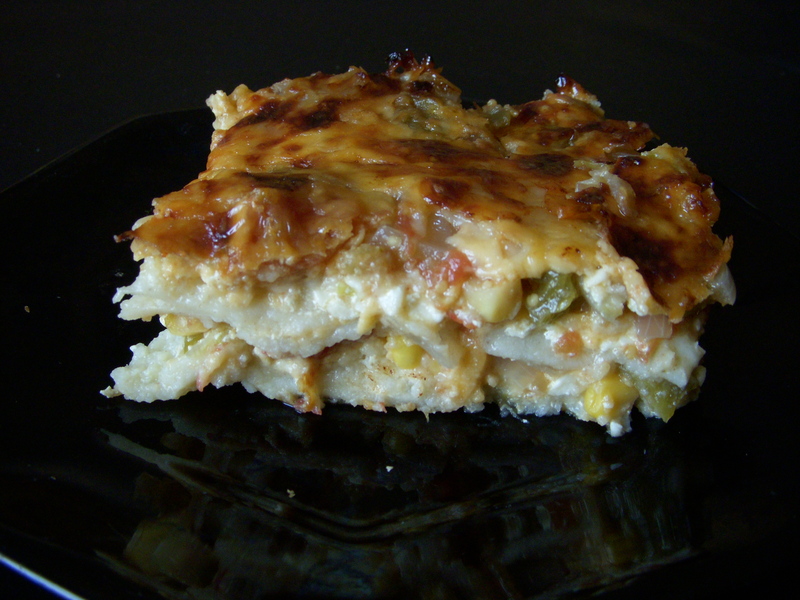 It can easily be made with meat by adding 2 cups of cooked shredded chicken or pork to the sauce while it’s simmering, but I like the tangy, cheesy, veggie version just as much. Go figure! In a large frying pan, heat up the olive oil. 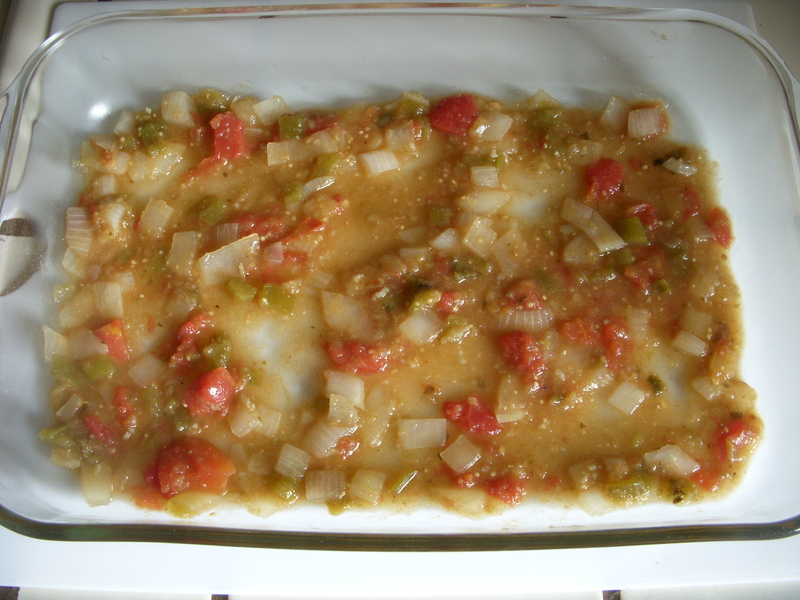 Once it starts to shimmer, add in the onion and cook until it’s softened, about 5-7 minutes. 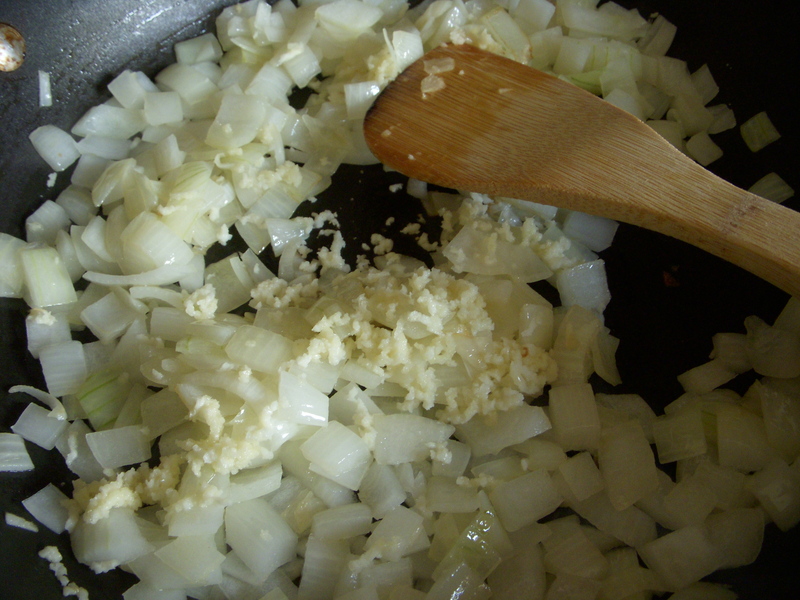 Then add in the garlic and cook for about 1 minute more, until aromatic. Don’t brown your garlic!!! 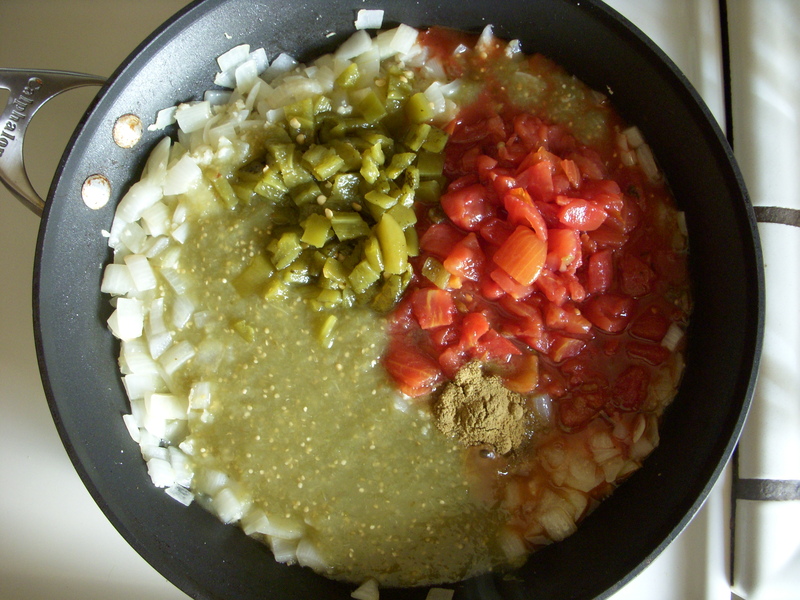 Once the garlic starts to smell good (heh), add in your verde sauce, diced tomatoes, chilies, cumin, and salt. If you’re using meat, this is when it would be added as well. 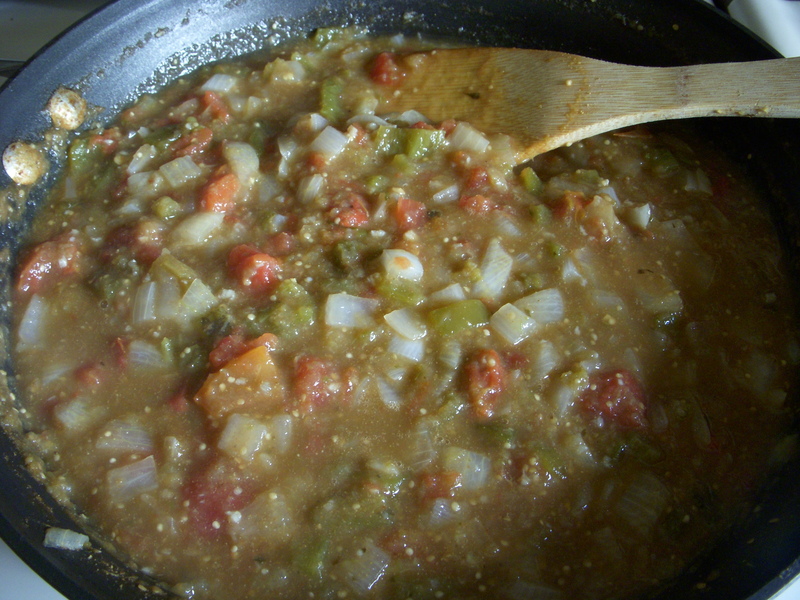 Stir and simmer for 10-15 minutes, allowing the sauce to thicken slightly and the flavors to combine. Get out a 9×13 inch pan and spray lightly with cooking spray. 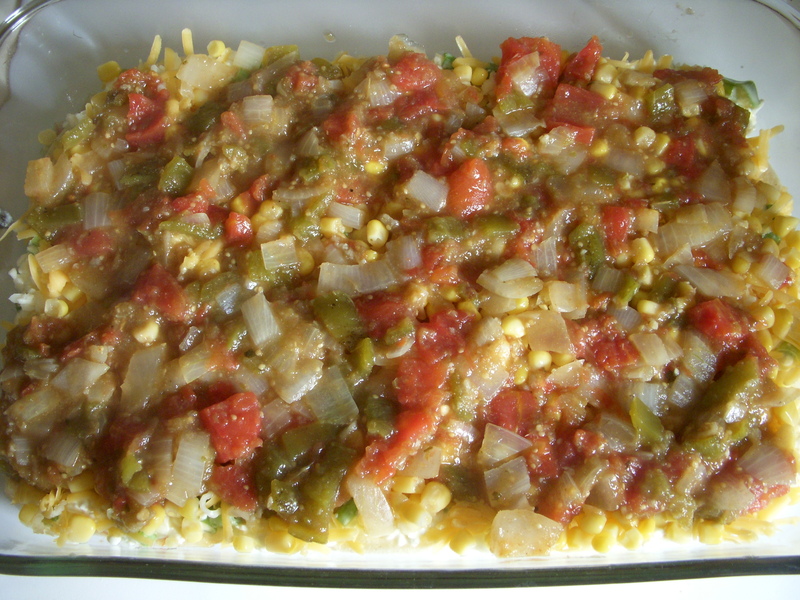 Scoop and spread out about 1 cup of the sauce. 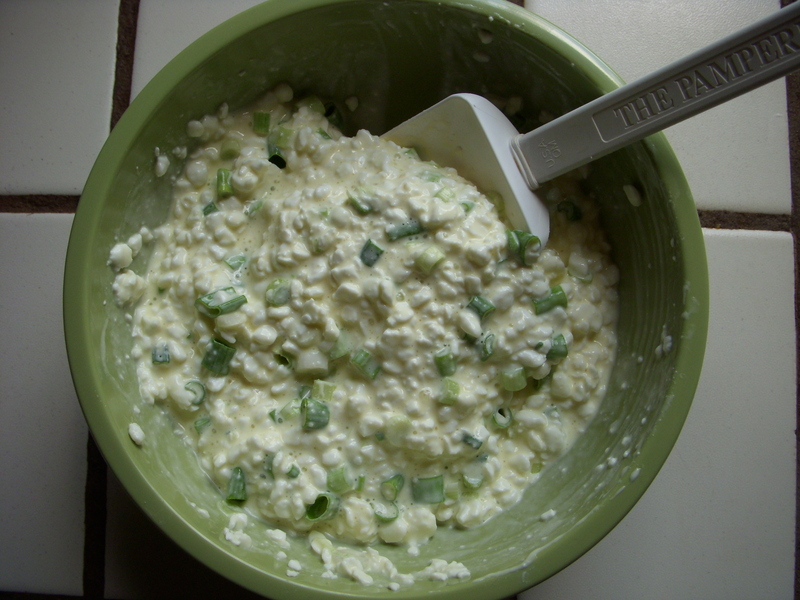 then layer on half of the cottage cheese mixture. 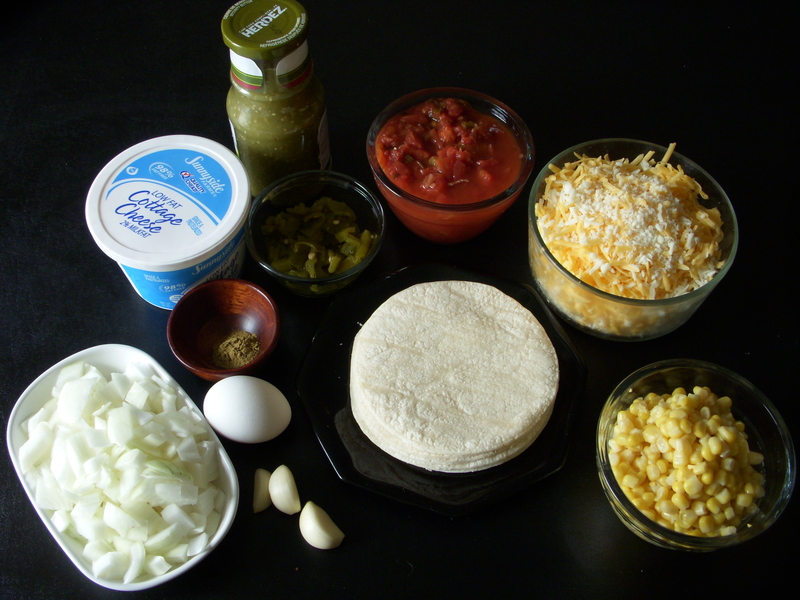 It’s easiest to dollop a spoonful onto each tortilla, and then spread. 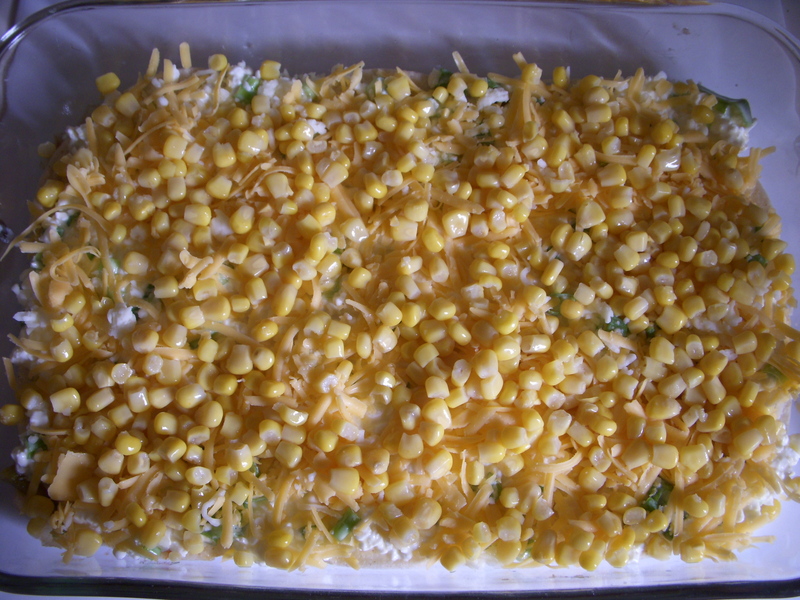 and then half of the corn. 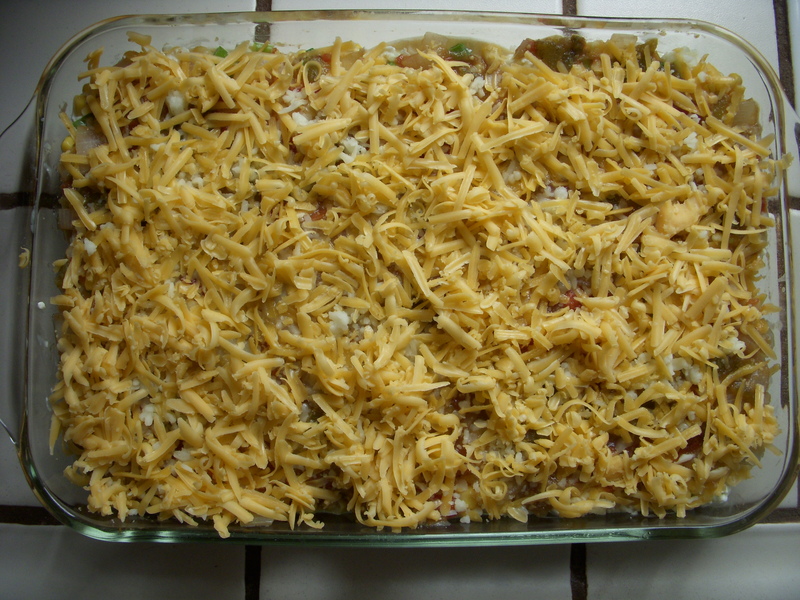 Once you get to the sauce for the last time, top with the remaining shredded cheese. 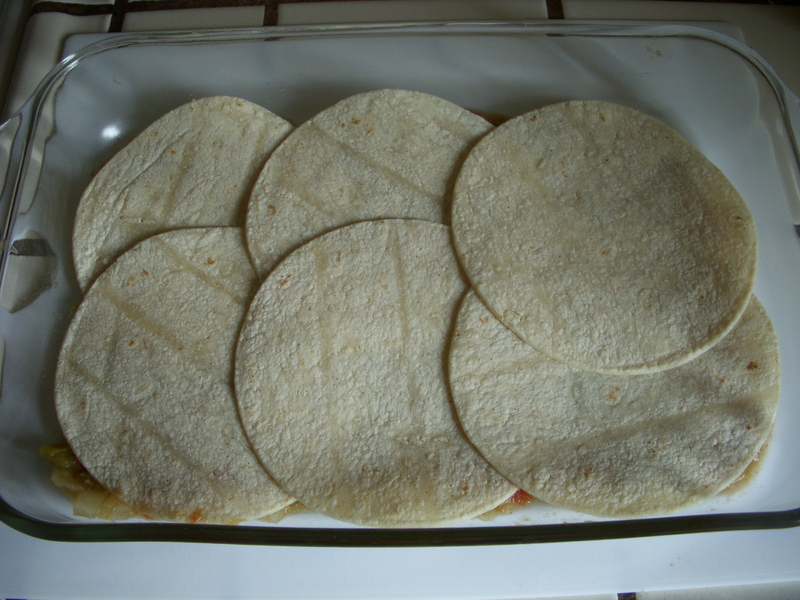 Cover the pan with aluminum foil and cook for 30 minutes. 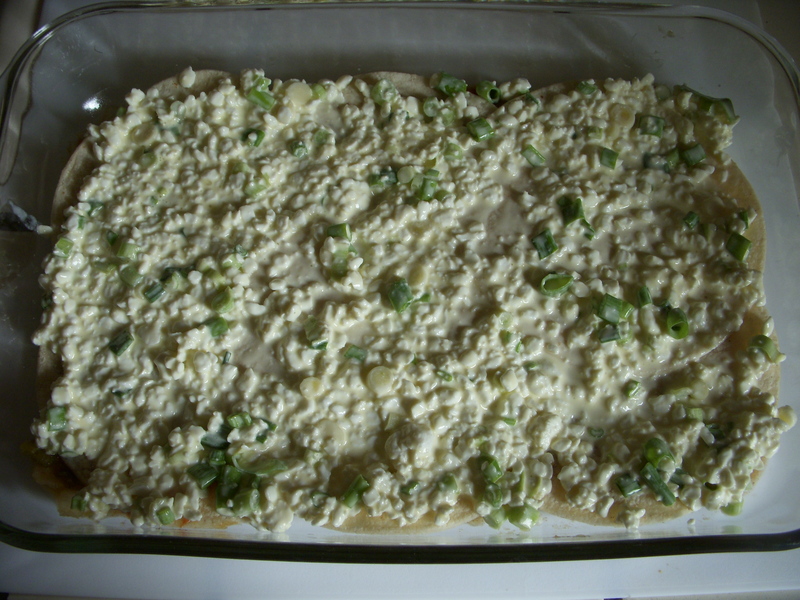 Remove the aluminum and bake for another 25 minutes until golden and bubbly. 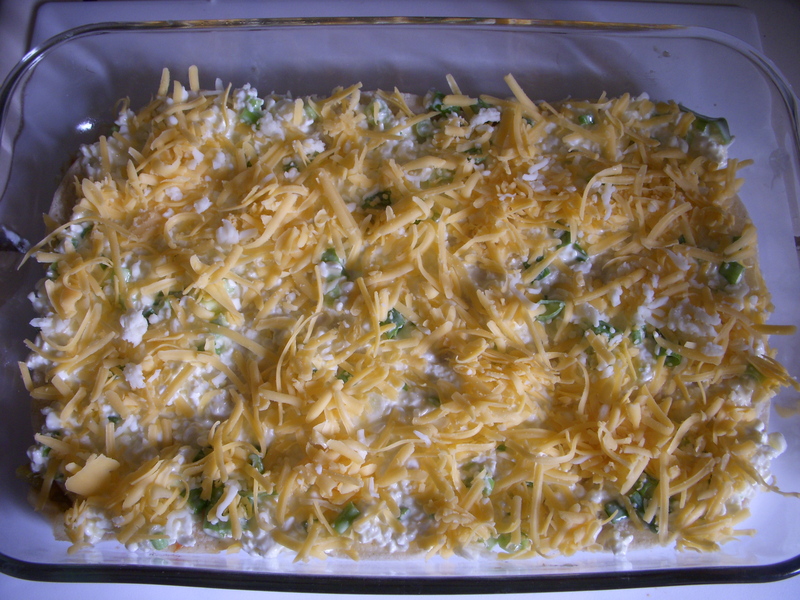 Let cool for at least 15-20 minutes before cutting and serving to allow the layers and cheese to settle. IF YOU DARE!